Technology and cyber risk go hand-in-hand in today’s digital world. Cyber criminals are doing everything possible to exploit vulnerabilities in our technology and software. Whereas cyber adversaries only have to nail an attack once, our cyber defenses have to be on point 100% of the time. Coalition, a recently-launched cyber risk solution, is there to help with that. Co-founded by technology entrepreneurs Joshua Motta and John Hering, Coalition provides a full suite of cybersecurity products for small to midsize businesses (SMBs) and comprehensive cyber and technology error & omissions insurance of up to $10 million of coverage. Through Coalition’s online platform, insurance brokers can generate a cyber insurance quote in minutes and also provide their SMB clients with access to Coalition’s proprietary cybersecurity apps that are designed to detect, manage and mitigate threats. Coalition has the insurance backing of Swiss Re Corporate Solutions and Argo to offer its suite of cyber security products, tools and services. Through Coalition’s risk management apps, businesses can easily access and configure threat and intelligence alerts, ransomware and denial of service protection, and patch and vulnerability notifications without any complex setup or configuration. “We’re not only looking to help the end customer (the policyholder); we also want to make brokers’ lives easier,” Motta told Insurance Business. “A broker can log-in to our system and in under four minutes, they can not only quote a policy, get a rate for it, create a binder for it – but the cyber insurance policy will actually be issued. Coalition’s team includes technology entrepreneurs and executives that helped build Cloudflare, Lookout and OpenDNS, former members of the US Intelligence Community and cyber insurance innovators. They use their significant cyber expertise to scrutinize companies like a real-life hacker would. “Our cyber risk assessment process is to replicate what a human adversary would do,” explained Motta. “Hackers don’t make determinations to go after companies because of their particular industry; they typically target companies based on what technologies they’re using and what vulnerabilities exist in those technologies that they can exploit. The company’s apps and cyber security tools are only available to Coalition policyholders, but Motta hopes the tools will become available to everyone in the future. “We want to democratize access to cybersecurity technology for those who need it the most,” he commented. 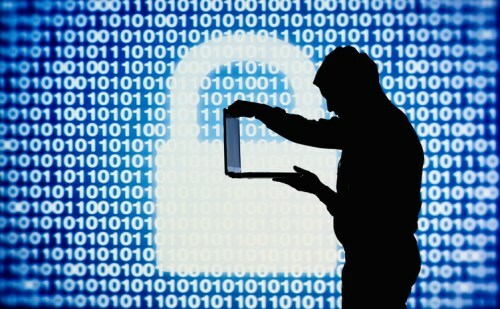 Is cyber insurance provoking more cyberattacks?